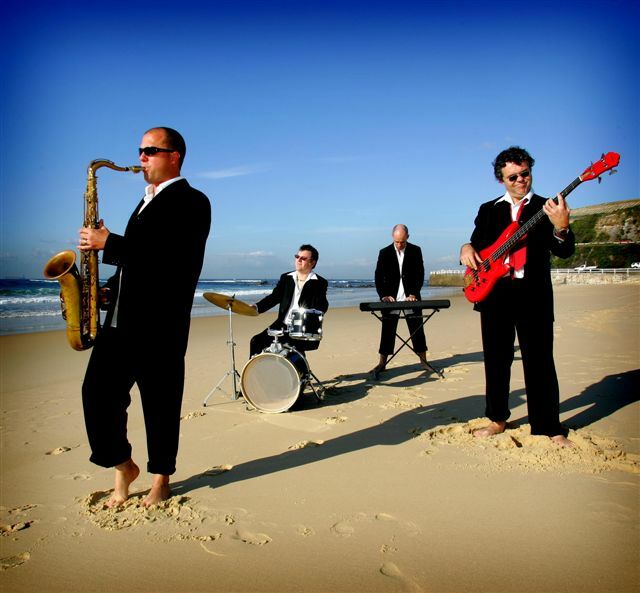 The Funky Do Da’s are the Hunter Valleys ‘Premier’ wedding band providing an entertainment package 2nd to none. With over 600 wedding performances, The Funky Do Da’s are the number one recommendation of major Newcastle function rooms & Hunter valley vineyard function centers. During dinner we create the perfect relaxed mood featuring the smooth silky sounds of the Saxophone. Jazz, swing, Latin, Instrumental Pop & some Cool Jazzy/Soul vocal tunes set the vibe. After dinner we launch into the dance music which features a large cross section of popular music & styles, from the past 6 decades. Choose the Funky Do Da’s as part of your wedding day celebrations, & the Funky Do Da’s will make your event.